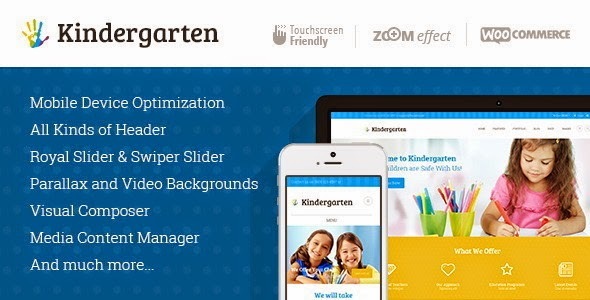 Kindergarten is a super flexible, really multifunctional and fully responsive professional children WordPress Theme. It is designed towards kindergartens, daycare, preschools and other small businesses. Item Reviewed: Kindergarten - Children WordPress Theme 9 out of 10 based on 10 ratings. 9 user reviews.